Our Low Carb Enchilada Sauce is much higher in fat than supermarket sauces, and much tastier. This low-car enchilada sauce is a mildly spicy, perfect for children, and easily made hotter by adding additional cayenne or fresh chilies. The lowest carb count of any standard enchilada sauce at the supermarket is 6.6g of carbs per 100g and many had sugar added! 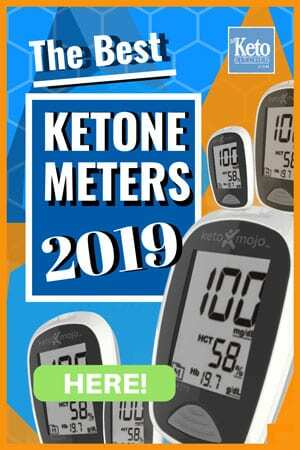 Not only is our Keto Enchilada Sauce low carb at 5g of carbs per 100g. But it also doesn’t contain any of the fillers or added sugars, additives or preservatives. Unlike standard store-bought enchilada sauce. 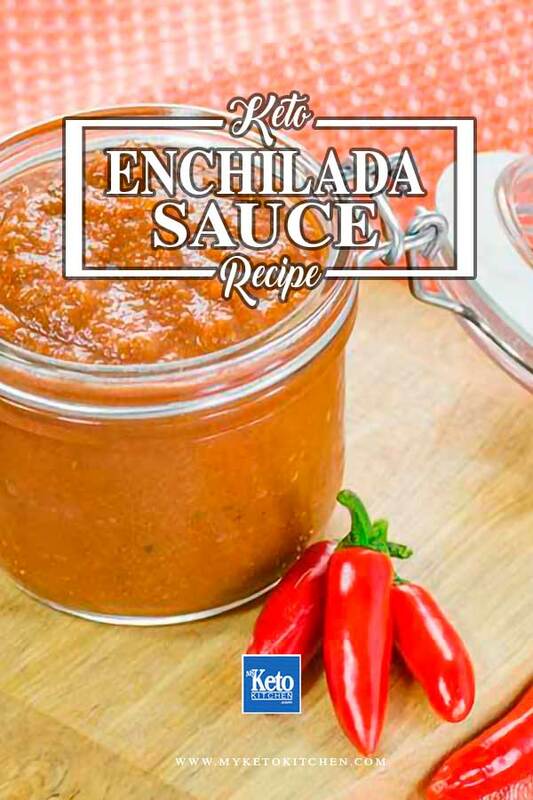 Shop bought enchilada sauce ingredients include modified corn starch, as well as sugar, soybean oil, hydrolyzed soy protein and corn protein. Our Keto Enchilada Sauce contains none of it. 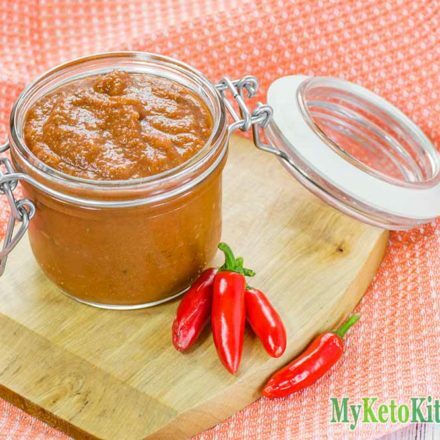 This keto enchilada sauce recipe makes approximately 14oz/400g of Low Carb Enchilada Sauce. We’ve broken our nutritional information into 4 serves, or 1/4 of the total recipe. 12 ounces of Tomato Puree, the tomato puree that we use contains only tomatoes and salt. Place the butter in a saucepan over medium heat. Add all ingredients except the tomato puree and saute for 3 minutes, or until fragrant. Add the tomato puree and stir well. Simmer the sauce for 5 minutes to infuse the spices. Add a little water if you like your sauce to be thinner and adjust the seasoning to your taste. Use straight away or pour into a heatproof jar and store in the fridge for up to 2 weeks. Our Low Carb Enchilada Sauce goes perfectly with our Low Carb Pork Carnitas! Hit the subscribe button and be ready to receive more recipes based on our Low Carb Pork Carnitas and Low Carb Enchilada Sauce. Our Low Carb Enchilada Sauce is much higher in fat than supermarket sauces, and much tastier. It is a mild sauce, perfect for children, and easily made hotter by adding additional Cayenne or fresh chilies. 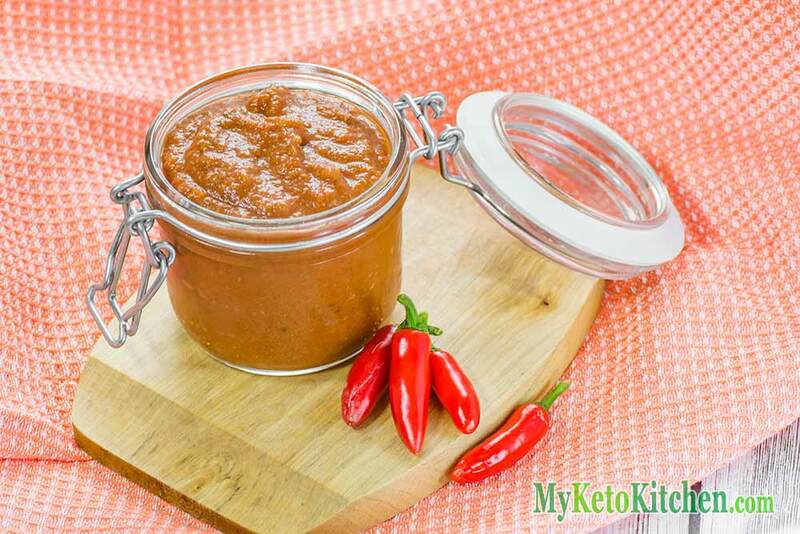 If you want to make a larger batch of this Low Carb Keto Enchilada Sauce recipe adjust the serving amounts above.